My name is Tony Santoro and I was born in Sicily, Italy. Whilst I was studying economics in Palermo I had to pay for my scholarship, so I began working in bars. 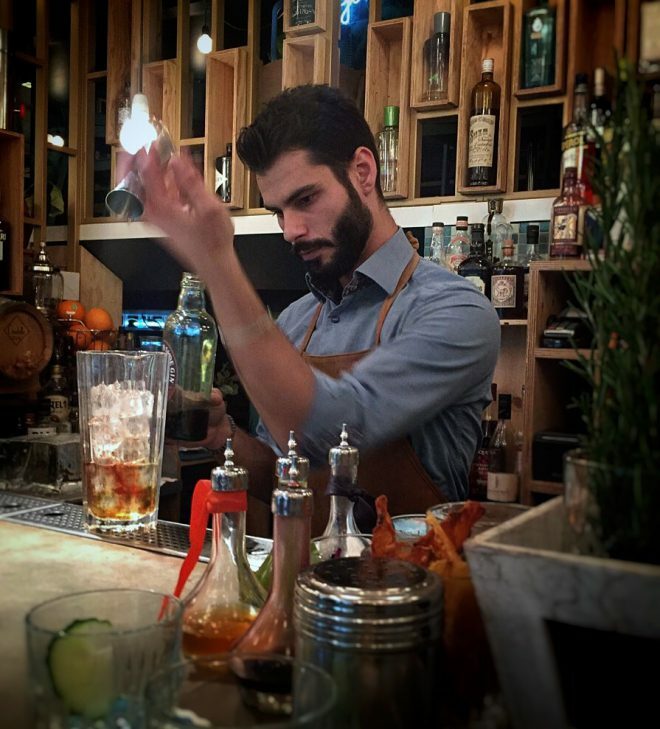 I decided to change my career path from economics to the hospitality sector and studied with AIBES, the oldest association of bartenders in Italy. I began working in several clubs as a bartender, then after several competitions I became a head bartender and split my time between mixology and clubs. I met a french girl and moved to Paris and worked shifts in various bars before joining Tiger a year ago. At the moment I have so many different ideas and as there are constant evolutions in cocktail bars around the world that’s quite hard to answer. I’d say it would be open in the morning for breakfast, then lunch and italian spirits for apero hour with a small buffet, then later… more sharp cocktails, eventually becoming a club in the evening. It would be a two storey venue and definitely beside the sea. I love to go out with the team from Tiger, especially Aubin, because it creates a spirit between us all, which is the base for our good service here. The bar I really like to visit is Sherrybutt, which has great cocktails and customer relationships. I like gin because it’s very versatile, you can use it in very different ways: dry or sour, it’s very easy to work with. A good cocktail is about the base spirit, bitterness, sweetness, acidity, and dilution. When you have the right balance between these five elements I believe you have a good cocktail. I really like using Angostura in cocktails as it gives a bitter quality to a drink. For me it’s like salt and pepper in a dish. As Italy is my country, you should definitely go to Milan and meet with 1930, Mag Cafè and Backdoor 43.